“I help our clients decide when to fight. I don’t waste time or money or litigate for the sake of litigation. On the other hand, I'm not afraid to go to court and take a trial all the way to the end if need be." 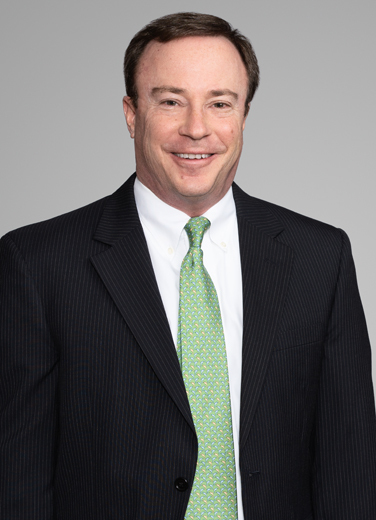 Brett Wise is an experienced maritime lawyer representing domestic and international companies in the energy and chemical industry sectors in complex claims ­- on the Mississippi River and in the Gulf -­ in state and federal courts. Clients turn to Brett for advice for high exposure tort and contractual matters involving vessels, ports, shipyards, oil platforms and both personal injury claims and cabotage issues relating to the Jones Act. He has assisted clients with reservoir damage, insurance, casualty, pipeline accidents and other oilfield tort claims, as well as toxic tort, aviation and products liability defense matters in the admiralty context. Brett is a graduate of the U.S. Naval Academy and the Navy Nuclear Power School. He served on active duty for seven years as a submariner in the U.S. Navy. He retired as a Captain from the U.S. Navy Reserve. Brett is a key member of the firm's admiralty law team, helping brown-water and blue-water operators and others with maritime claims and policy-holder insurance litigation. As Brett describes it, "I regularly defend or prosecute claims -­ whether as lead counsel or as a member of a team -­ involving vessel, platform, shipyard or port accidents with multiple parties and complex intersections of state and federal law." "I'm also often on teams investigating maritime accidents. Thanks to my naval experience, I know how to locate, use and question experts as well as read and interpret radar and other technical data myself." Brett's technical expertise came into play, for example, in his work on the BP spill and for post-Katrina damage claims.